And the winner is Barbara from North Carolina! Congratulations! Zoo Report Writing Printables. Here. 10 Free Sites I Use in my Homeschool. Here. SPECIAL OFFER: Save 50% on a year’s subscription through Educents… and FREE shipping in the Continental United States! Ships to Canada for $2/month. This deal is amazing… just $10 per month, DELIVERED! A Grid on Our Earth: An Exploration on Map Grids, Layers of Learning. Here. Top 10 Middle School Vocabulary Tip. Here. Number of Home-Schooled Students Increases in the District. Here. 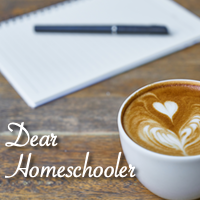 So, You’re Scared to Homeschool High School. Here. Read Your Way to a Love of Math: 50 Titles for ages 4-12. Here.